ROOT SPORTS Southwest Region is the television home of the Houston Rockets and Houston Astros. The name has a double meaning – supporting and rooting for the home team, and being grounded, connected and an insider with their team partners and fans alike. The network currently reaches approximately 4.2 million households across five states and delivers more than 250 live events each year – all available in high definition, anchored from the Houston studio. 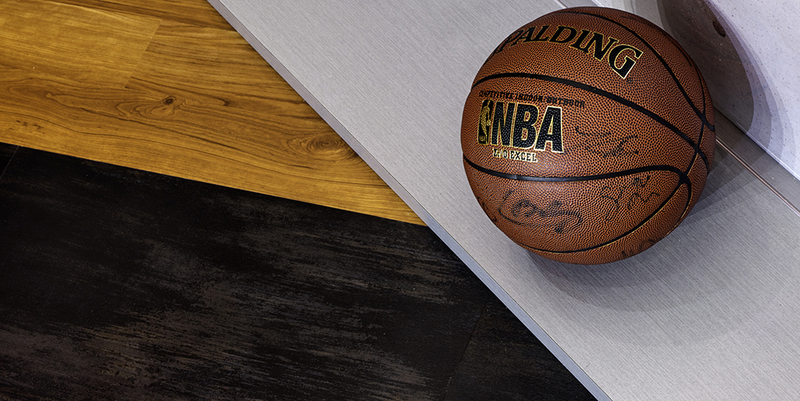 When it came time to renovate, that high definition was carried through to the flooring with an intricate installation of Aspecta that reflects the region’s sports culture of intensity and spirit. On camera during every opening shot from the studio, Aspecta is always ready for her close-up! 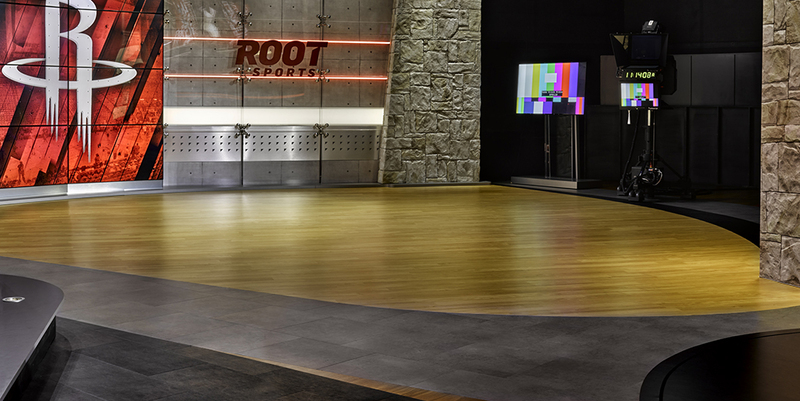 "With the very heavy rolling equipment, durability was definitely a factor in choosing the flooring for Root Sports. They also needed a product line with sufficient diversity to have a wide range of both stone and wood looks – and for a fast track job, it had to be available now. When a competitor couldn’t deliver the inventory, Readers and Aspecta saved the day." Style: The juxtaposition of coll concrete, smoky corrosive tile, adn smooth bold cherry planks makes a bold on-camera statement. 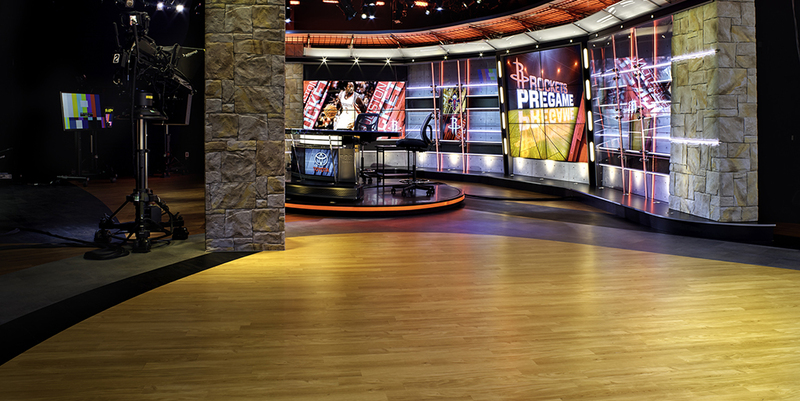 "A TV studio needs to ride on a perfectly level floor to function properly, so the Root Sports installation was an interesting challenge. We were looking for product that could withstand the constant movement of cameras, news desk, lighting and scissor forklifts – not your usual scenario. Parts of the design were meant to look like cement and others, like wood – but we couldn’t blend those natural materials on the same plane. With Aspecta’s consistent material thickness, we could execute the design without inconsistent surfaces. Aspecta was a perfect fit from both the design and monetary perspective, and it met the durability requirements for the project. And it just looks great!"